How to start seeds in a greenhouse with the additional heat of a hot bed. Growing from seed in late winter can be a challenge because of low temperatures. A hot bed can provide the needed heat for germination without the use of soil warming cables and the use of electricity. 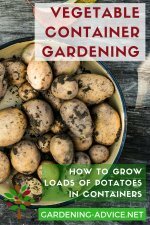 As an added bonus of this method you will have a lot of organic compost later for growing vegetables. 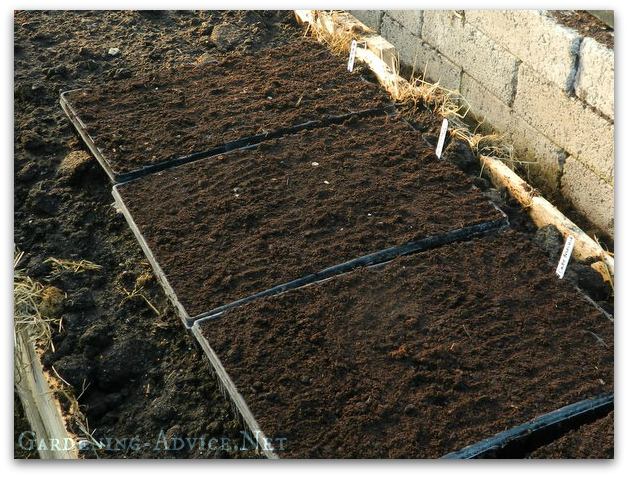 Or you can just cover the hotbed with a few inches of soil and plant your vegetable seedlings. 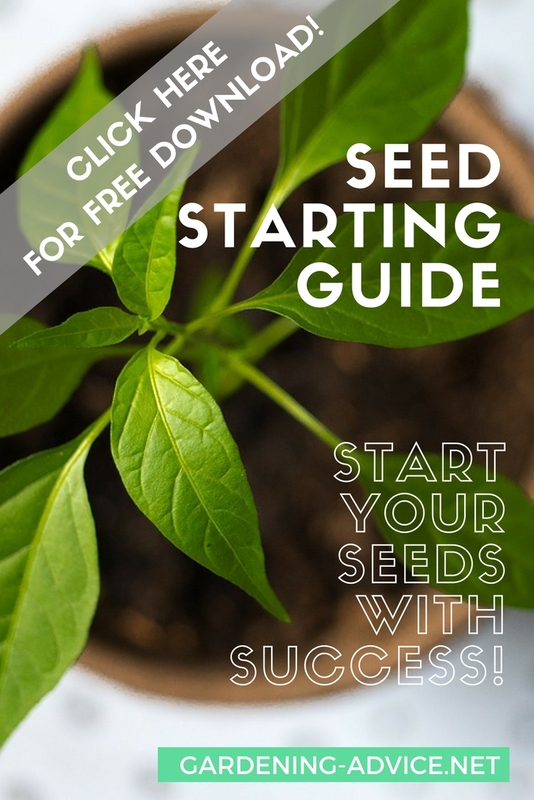 Starting vegetable seeds in late winter or early spring can be challenging because temperatures are still too low for quick germination and growing on. A bit of additional heat can help tremendously with your seed starting efforts. 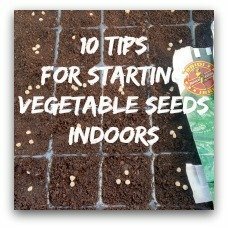 I will show you a really low tech method for starting seeds in early spring in a polytunnel or greenhouse. All you need for the hot bed is a load of fresh horse manure or other manure that will heat up. You will need a minimum of one cubic meter of manure otherwise it won't generate enough heat. If you don't own a horse ask at your local riding school or a local farmer. You will also need some wooden planks or old pallets to keep the manure in. The seeds will be sown into seed trays, pots or multicell trays. 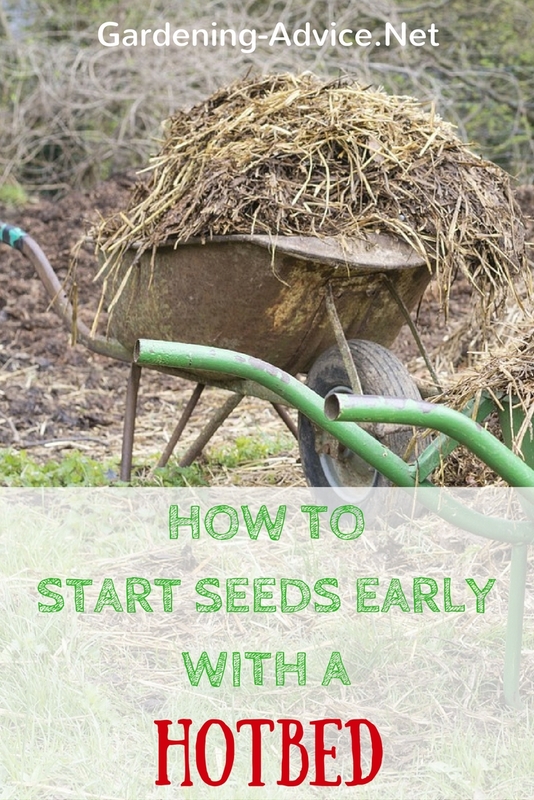 You will also need a seed compost, some horticultural fleece and, of course, the vegetable seeds you would like to sow. 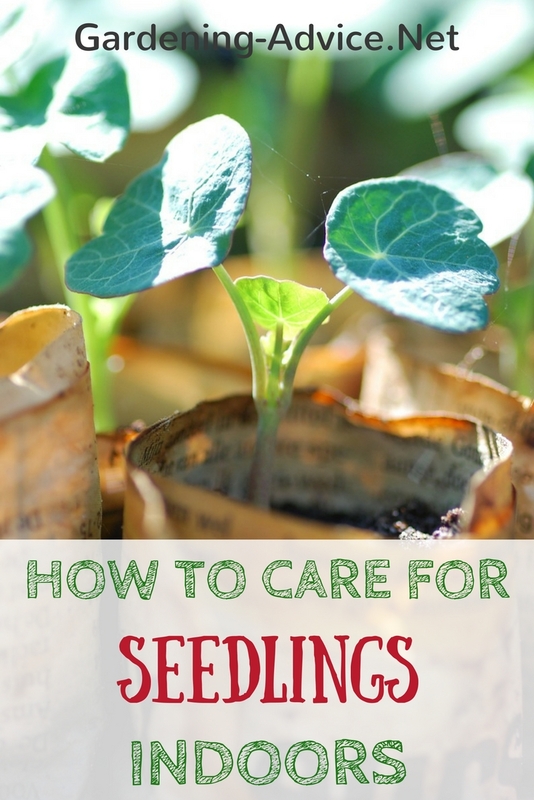 Check out these 10 seed starting tips for the healthiest seedlings! 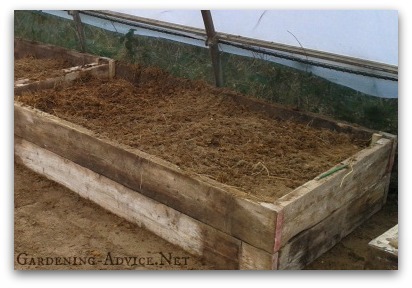 To prepare the hot bed fill a raised bed with fresh horse manure. You can fill it up to the top because it will sink down as it rots. 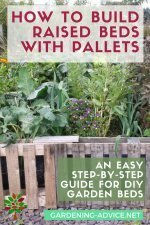 If you don't have raised beds just use old pallets or scrap timber to make a box of minimum one cubic meter in size and fill in the manure. Cover it with a layer of soil to have a clean and level surface. You can use this as a grow bed for your vegetables after you are finished with starting your seeds. Let the bed sit for a week or two until you feel some heat when you put your hand down into it. Now you are ready for growing from seed with bottom heat provided by millions of microorganisms breaking down the manure! 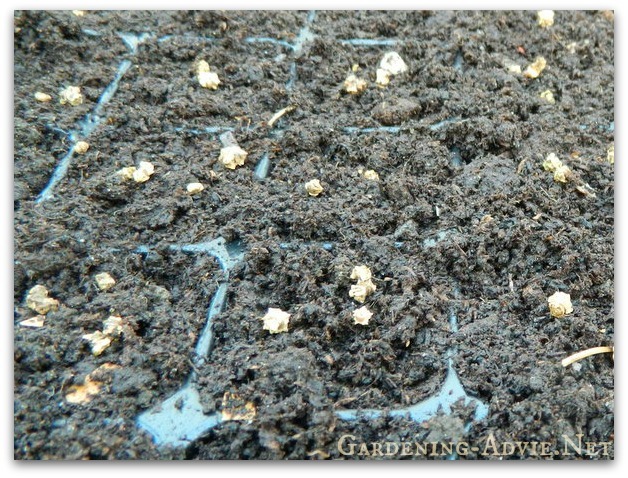 Sow the seeds into seed trays or other suitable containers. I prefer multicell trays also sometimes called root trainers. They have the advantage that you can pop out each individual plant with an intact rootball when they are ready for planting. This speeds up growing on significantly later on. 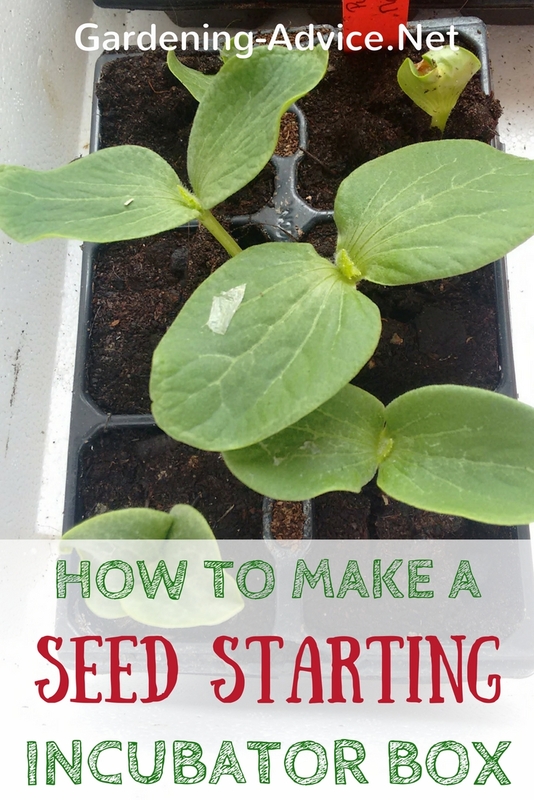 You can sow several seeds into each cell and plant them out in a cluster later on or just keep the strongest seedling. This depends on what vegetable it is. For example scallions, beetroot, onions or spinach do well if grown in a cluster and produce more per square meter. Growing your own herbs and veggies in your backyard is a dream many people have. 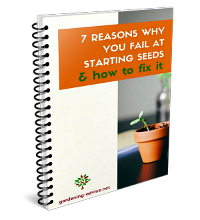 But most of them fail at the very beginning: starting seeds! 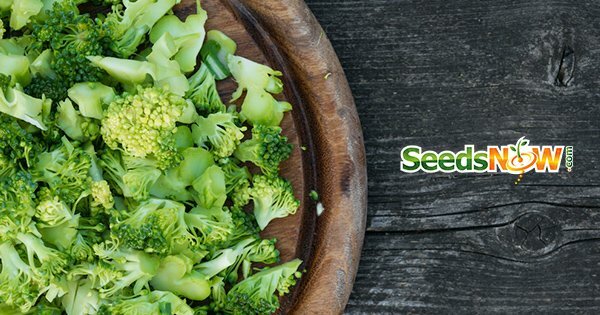 Learning how to grow vegetables from seed is essential if you want to start with growing your own food. We are here to help you get started successfully. 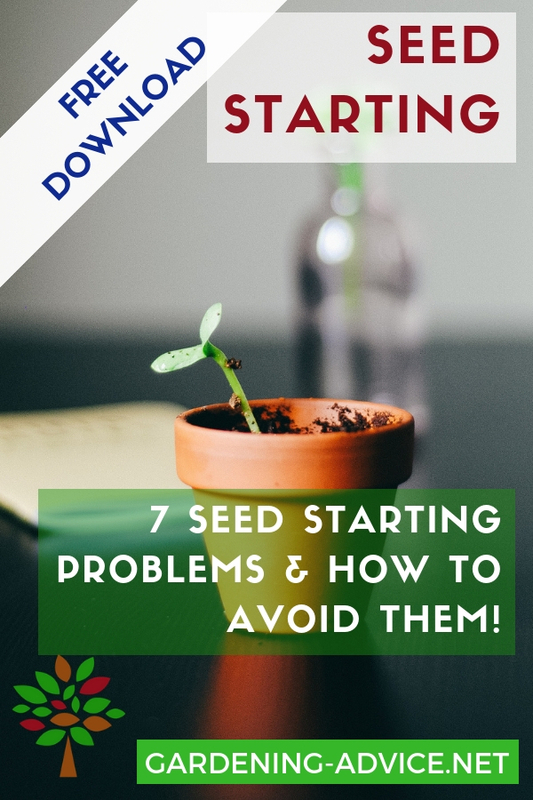 Download our free guide about 7 common seed starting problems and how to avoid them. Cover the seeds with a thin layer of potting soil and firm. 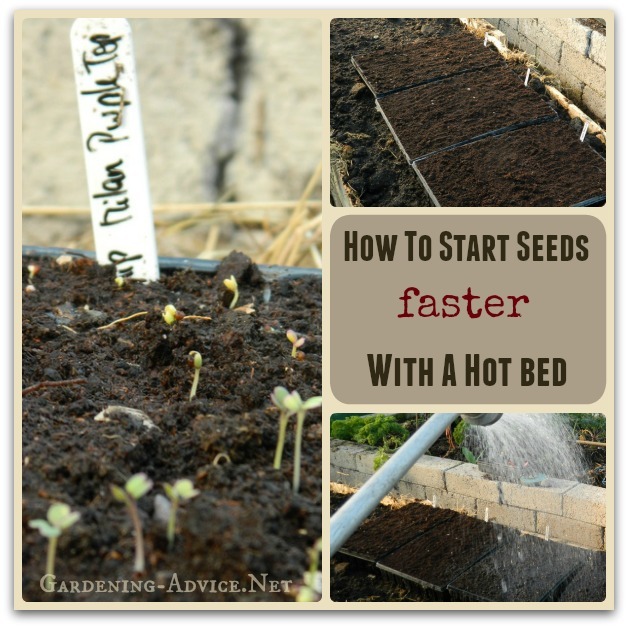 Place the seeds trays on top of your prepared hot bed. You should be able to feel some heat rising from the hot bed before you use it for starting the seeds. A simple but important step. Water the trays carefully but well! 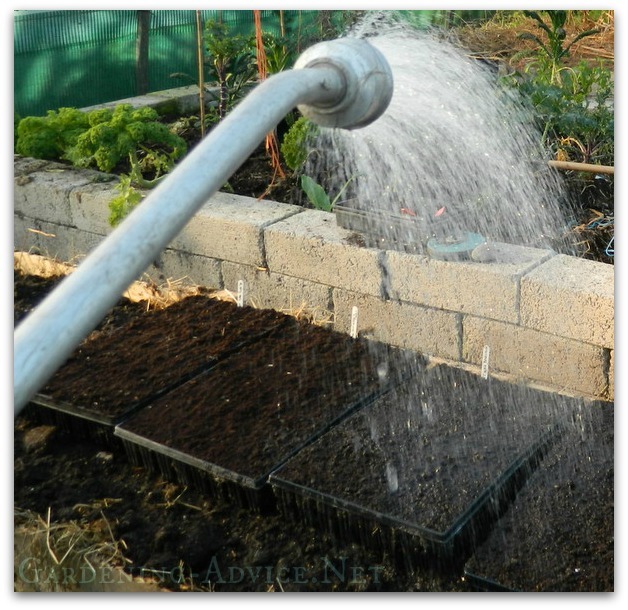 Avoid too much water pressure or overflowing the trays washing away seeds and soil. The water should be running out of the bottom of the trays. 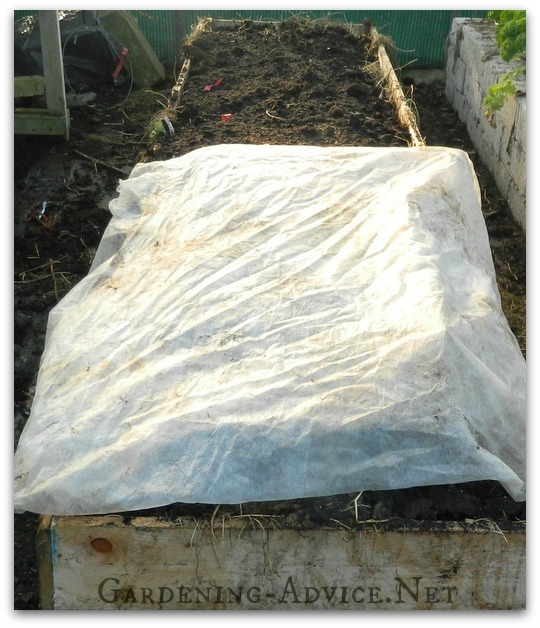 Cover the trays with a double layer of horticultural fleece. This will keep the seed trays warmer and speeds up the germination but is breathable. 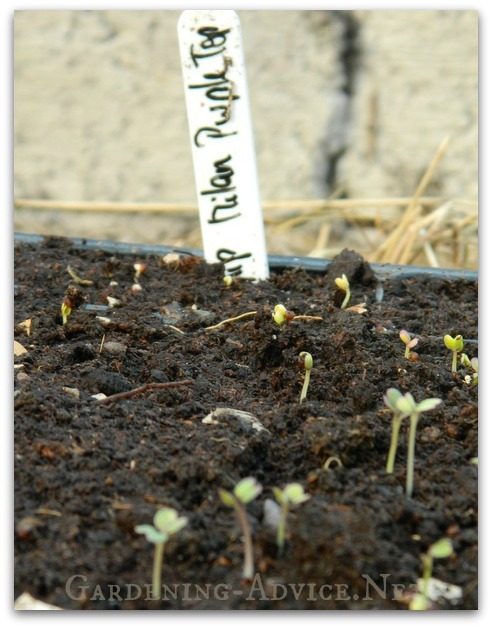 Check for emerging seedlings after 5 or 6 days. Some seeds germinate quicker than others. I had turnips germinate within 5 days with this method in the middle of February. 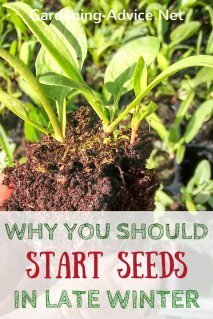 Once the seedlings emerge keep them on the hotbed for another couple of weeks before you grow them on a shelf or a table. Once they are big enough they can be transplanted into bigger containers or vegetable beds. Most of these early sowings will be planted in the polytunnel or greenhouse because it would be still too cold for most of them without protection. Small hoop tunnels covered with fleece would also be an option. After the seedlings have germinated reduce the fleece to one layer and prop it up a little so it is not lying right on top of the seedlings. You can uncover them if the days are mild and sunny but cover them again for the night. 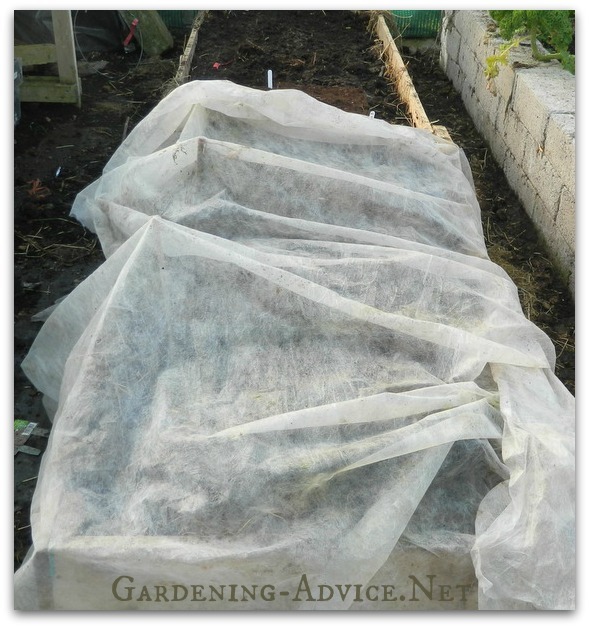 The fleece is a great tool to protect young plants and speed up growth. If you invest into a good quality one it will be reusable for many years. Water the trays as needed but take care, not to overwater. They don't need much water during this time of the year. 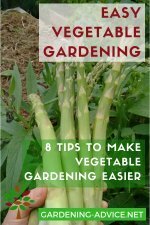 Which Vegetables Are Suitable For Sowing Early?